Cities, states and countries around the world have their sights set on banning diesel cars by a set date. In particular, there’s some high-profile cases ongoing in Germany that could decide whether cities there can ban diesel cars. This, it turns out, has German retailers freaked out. Retailers are particularly concerned that diesel bans in major cities could impact sales and, in turn, incentivize people to shop online instead, according to a report from Reuters. 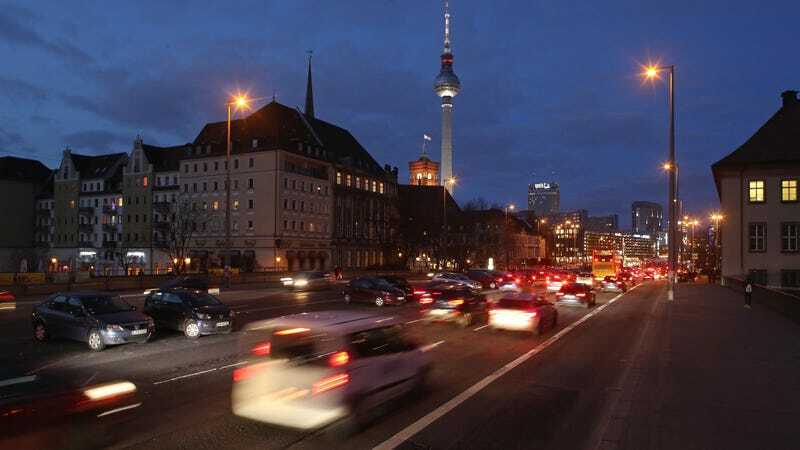 Germany’s highest administrative court is expected to rule in February on whether cities should impose driving bans on diesel cars to help reduce air pollution. The HDE retail association said a survey of its members showed that 70 percent of traders feared that sales would be hit, while 73 percent expect consumers to shift more online. “The inner cities must remain reachable for customers as well as for retail deliveries,” HDE president Josef Sanktjohanser told a news conference. The administrative court’s decision follows cases emanating from cities like Stuggart, home to Porsche, Mercedes-Benz and auto supplier Bosch. Last summer, a court ruled it was a-OK, which pushed lawmakers to seek a separate fix by “updating engine management software on some older vehicles to make exhaust filter systems more effective,” Reuters reported at the time. Mayors in Paris, Madrid and Mexico City have also said they want to ban diesel vehicles from city centers by 2025, Reuters reports. Surely that means they’ll be interested in how next month’s ruling in Germany turns out. Whatever the case, as it has been the case for more than two years now, German automakers continue to be rankled by dirty diesel vehicles. Just last week, it was revealed Volkswagen, Daimler and BMW participated in emissions tests that entailed exposing diesel fumes to monkeys and humans. The tests, expectedly, have not gone over well with the public. The automakers have since apologized.